Wondering where to start with your Christmas shopping? 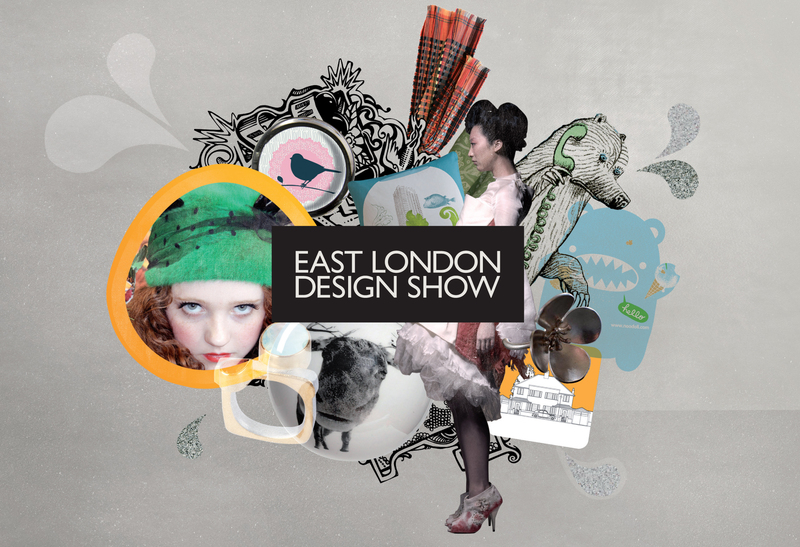 Well, it seems like the cleverest first stop is the East London Design Show. Held at Shoreditch Town Hall, the East London Design Show has been firstly intended to showcase and promote the work of local talents. Now in its 17th edition, it gathers over a hundred exhibitors, with a mix of local and national designers – or even international ones, from Seattle to Sidney or Paris – cutting-edge tomorrow’s talents or more established brands. With products ranging from fashion to glass and ceramic works, from furniture to toys, from prints to home-wares, it offers the perfect alternative to the high street for Christmas shopping. This year, for the first time, the East London Design Show is hosted in association with Hidden Art, who are running their annual open studios event alongside. First things first, my personal favourite: lingerie… This year, despite very few exhibitors in the lace and silk department, lingerie was delightfully represented by Ciel Studio with a stunning collection of Liberty print silk knickers. Ciel (pronounced C’elle) is a fashion and lingerie label with a green twist – or as designer Sarah Ratty defines the brand’s signature style, « informed by a green design thinking » – that already attracts A-list customers such as Cate Blanchett or Sienna Miller. Still in the silk department although in a more, er… visible way, Laslett & Stokers offer a gorgeous range of original floral and abstract scarf designs both for men and women, from squares to pocket handkerchiefs. As every year, jewellery is well represented, with more than 20 jewellery designers. Highlights include Jianhui London, whose designs are highly inspired by the bright coloured flowers in pink, purple and orange from his childhood in the mountains of China. Exquisitely combining feminine and romantic elements with an urban edge, the pieces are divine – and good for your conscience as well, all materials being environmentally friendly and supplied by people who treat their staff fairly. Sarah Eyton’s Kismet wrist cuffs also make a statement, although in a totally different style. Using what is literally « cutting edge » technology, her designs are etched onto cut Perspex, which is heated and hand formed into a cuff. They come either in translucent neon colours or beautiful opaque black, but all present this great juxtaposition of high gloss (polished Perspex) and matt (etched areas). Stunning! Ceramics (especially mugs – and for a mug addict like me, this was torture) was everywhere, but one particular designer caught my attention. Miss Annabel Dee is a ceramic artist who draws her inspiration from the past but recreates it in a very modern way. Her vessel designs mix old photographs and ink drawings on very basic shapes, forming a unique and very refreshing style. I must admit, though, I REALLY had a crush on the mug collection from Peter Ibruegger Studio and their hilarious moustaches. Don’t miss East End Prints, who are launching a new range of handmade and digital prints from illustrators, designers, photographers, etc., including a collection from emerging talents from universities and colleges in the UK. Tomorrow is the last day, so don’t waste another minute and go explore the East London design jungle.